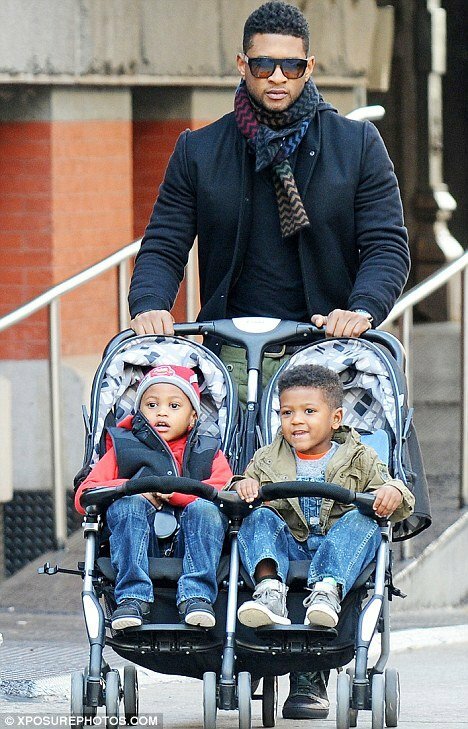 Tameka Raymond, Usher’s ex-wife, suffered fresh heartache today after losing the custody battle over their two sons. Usher, 33, was awarded primary care of 4-year-old Usher Raymond V and Naviyd, 3, after a ruling by Georgia judge, TMZ reports. It comes just weeks after Tameka Raymond’s 11-year-old son Kile – from a previous relationship – tragically died following a freak jet ski accident last month. The former couple was both giving evidence last week, with Tameka trying to prevent Usher from taking sole custody of their two young sons, while closing arguments were also delivered. It was a messy battle which saw Tameka Raymond accuses Usher of being an absent father – while he branded her a bad mother who was unable to bond with their children. Their two sons will no spend most of their time with their father – while it is unclear how much access Tameka will get to her boys. Usher and Tameka Raymond, 41, previously had a co-parenting agreement in place. According to Fox Atlanta, an attorney representing the singer said at an earlier hearing: “We believe the evidence is that Ms Raymond is incapable of being a proper parent to these children. However Tameka Raymond’s attorney Lisa West told the court the pop star is on the road all the time, and cannot rely on the “village” of his mother, grandmother and aunt, who all attended, to keep the children. She added that he does not have a good relationship with his mother, and said Tameka is determined to fight for custody. Usher and Tameka Raymond divorced in 2009 and both sides admitted the current co-parenting arrangement is not working. They have been attending Fulton County for various hearings over the past several months, with both giving testimony. Usher, whose surname is Raymond, told the court on Monday last week that he tries to focus on his children when they are with him, but sometimes he has to juggle other commitments.